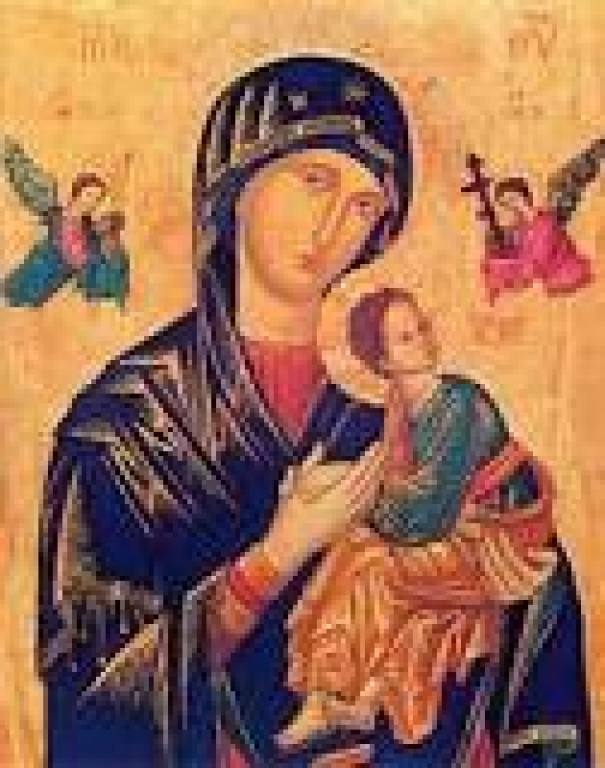 Devotion to Our Lady of Perpetual Help is of great succor to the sick. In fact, that was the icon’s original name. Countless healing miracles are attributed to her intercession. According to tradition the icon is traced to at least the year 1495, when it was enshrined in a church on the Mediterranean island of Crete. When Crete was threatened by the Turks the icon was taken to Rome by a merchant. According to tradition the merchant was instructed by Our Lady to have the image enshrined in a church between the Major Basilicas of St. John Lateran and St. Mary Major. It found it’s home in a tiny church dedicated to St. Matthew. There it was venerated until 1798, when Napoleon’s forces leveled the church during their occupation. The icon was lost. 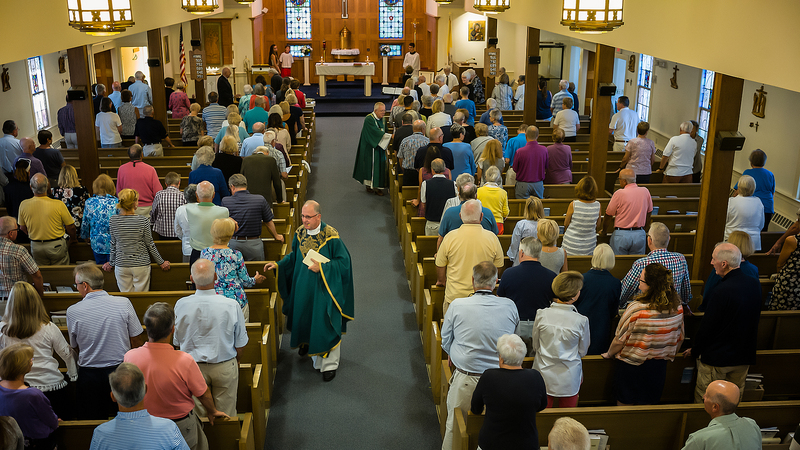 Then in 1863, it was rediscovered in an Augustinian church and in 1866 turned over to the care of the Redemptorists who had rebuilt a church dedicated to their founder St. Alphonsus Liguori on the site of the old St. Matthew’s. There it was again enshrined in 1867. Devotion to Our Lady of Perpetual Help was brought to the United States by the Redemptorists priest who settled in Boston. On Pentecost Sunday. May 28, 1871, the icon was enshrined in their Mission Church. The popularity of the devotion to Our Lady of Perpetual Help grew to such a degree that the small wooden church had to be replaced with the magnificent Minor Basilica of Our Lady of Perpetual Help that now stands in the Roxbury section of Boston. It was in this church that Senator Edward M. Kennedy and his daughter Kara prayed on a weekly basis while she was in treatment for cancer at the nearby Dana Faber Clinic. Her cancer was cured. Praying the Our Lady of Perpetual Help Devotion apparently dates to the early years of the Twentieth Century. It was brought to Chatham by the Redemptorist priests from the Mission Church in Boston who served the community during the summers of 1908. So, it predates even the building of Holy Redeemer Church. Here at Holy Redeemer Church we pray our devotion to Our Lady of Perpetual Help immediately after the 8:00 am Mass on Monday morning. The devotion is followed by a period on Eucharistic Adoration.